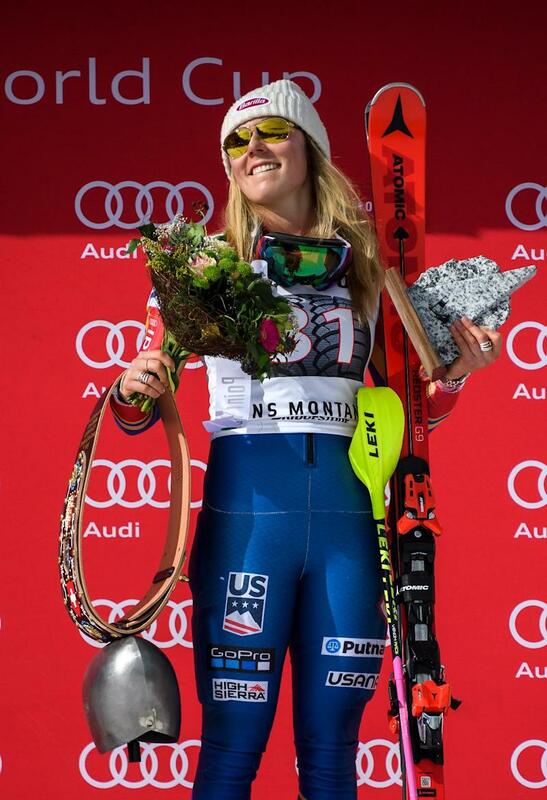 - American Mikaela Shiffrin tightened her grip on the overall women's alpine World Cup points lead by winning the giant slalom race at Squaw Valley, California. Shiffrin had the fastest time on the opening run at the 1960 Winter Olympic site in 1:08.75, putting her .20 of a second ahead of World Cup giant slalom season points leader Tessa Worley of France to claim the final starting spot for the second run. Shiffrin was 1.14 seconds ahead of leader Federica Brignone of Italy after the first interval of her final run, but slipped .03 of a second off the Italian's pace at the last interval before recovering to win by .07 of a second with a two-run time of 2:16.42 for the 21-year-old's 10th World Cup victory of the season.